In much the same way as our micro suction course, we want people to have all the tools and knowledge to be able to start treating patients the very next day. Following training you will be listed as a Tinnitus Advice and Treatment Centre on our national TinnitusUK website. Targeted paid aid advertising will generate patient leads for your business. 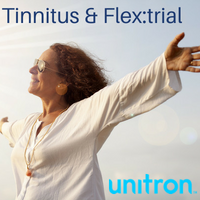 The Tinnitus & Flex:trial course will facilitate audiologists in managing tinnitus patients from first contact to fitting Flex:trial hearing aids with custom tinnitus programs, for amazing results. We'll teach you how to provide masking noise at levels where a patient often can't perceive their tinnitus or the masking element! It requires no special equipment that an audiologist doesn't already own and it's not necessary to have studied tinnitus any more than the average audiologist. This course is for everyone and provides access to great results by following a simple online assessment and fitting procedure. Following completion of the course, attendees will have the option of being listed on our tinnitus patient lead generation website. This will be modeled on our successful earwaxclinic.co.uk website which currently generates 500-1000 calls every week. "At Liverpool Hearing Centre we've had immediate and far better than expected results, simply by using the standard tinnitus assessment audiometric tests to design custom tinnitus programs in Flex:trial hearing aids. We want to make more audiologists aware of this so they can help more patients suffering from significant tinnitus. Designing this very different, practical tinnitus course and creating the online assessment should enable more audiologists (even those who may not believe they have the necessary skills) to provide effective help to tinnitus sufferers. 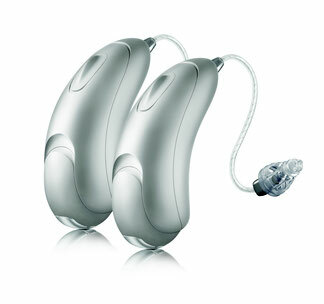 Only audiologists are uniquely qualified to assess hearing and tinnitus and provide custom sound therapy through the use of hearing aids. It is our duty to help those in need. I feel that the false message that 'there's nothing you can do about tinnitus and you'll just have to learn to live with it' is partly propagated by our profession not taking enough ownership. Working privately, we have access to better technology than the NHS such as Flex:trial so the ball is firmly in our court." Paul Nand. This is not a tinnitus masterclass. It is an introduction to a really useful new way to record, assess and treat tinnitus patients in one appointment. Naturally, follow ups will still be necessary!